The iOS 9 software update, to be released today, has deeply unnerved the online advertising industry. It will allow users to download Web browser extensions that can block advertisements from being shown while web surfing. The Silicon Valley giant hasn’t revealed the reason behind its decision, but Tim Cook has criticized Internet companies in the past for violating people’s privacy to boost ad revenue, Bloomberg reports. Ad-blocking software has been already in use for computer browsers for years. According to a study released in August by Adobe and PageFair, which makes ad-blocking software, over 198 million people worldwide actively use ad blockers. AdBlock, one of the leading ad-blocking technology developers, says it is working on software to release alongside iOS 9. “This is a very big deal for us,” says Gabriel Cubbage, the president of AdBlock. 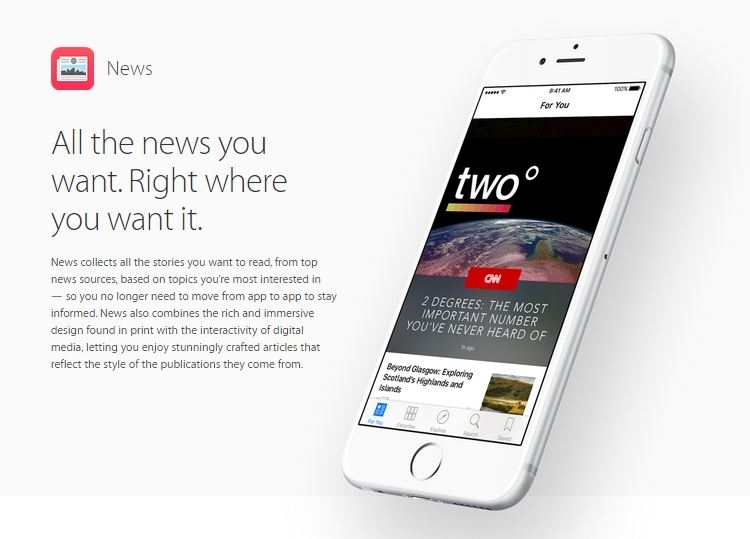 Another interesting feature in Apple's new mobile operating system is an app called Apple News. It will feature content from several publishers, including CNN, Time Inc. and Vox Media, reported by Los Angeles Times. The news app will be hosted on Apple's servers, meaning that users would not be redirected to publisher's website or mobile app. This in turn will make sure that Apple remains the content's custodian for advertising and the valuable user data generated by a news consumer's interests and likings. Although Apple has been very particular about how advertising will look on the news app, it has ceded on some points, such as, allowing publishers to include links to their websites. "For Apple, it has to look and feel premium and glossy," said Marc Simons, co-founder of Giant Spoon, a marketing agency with offices in Los Angeles and New York. "They roll things out the way they want to roll it out."